One question that investors often have to face while making mutual fund investment is that whether they should go with systematic investment plan (SIP) or make lumpsum investment? Which of the two will give better returns in the coming future? To get the answers, let’s understand what both of this entail. 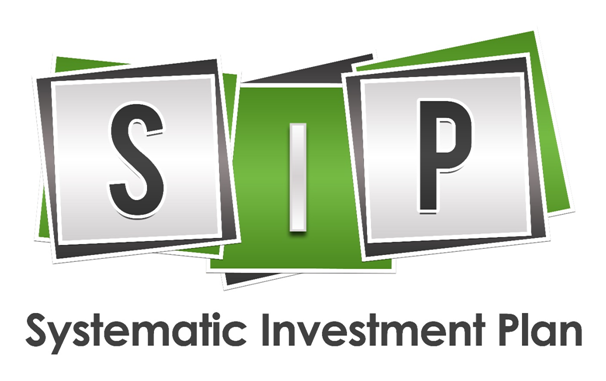 SIP investments are a disciplined form of investing where you make monthly investments. Here deductions are automatically debited from your bank account towards the chosen equity fund on a specific date for a specific tenure. On the basis of how much you can save, choose the amount that you would be interested in investing periodically in an equity mutual fund. Every month, the net asset value (NAV) of the mutual fund will vary as per the performance of the fund and current market conditions. Some fund houses also offer flexible SIP investments, where an investor can change the instalment as per the market conditions. So, when the market falls, you can buy more units. Investment Discipline: As the investment is made on a regular basis, it instils discipline in the investor. Curtail Risks: As the investment is made systematically, you don’t need to time your entry into the market. It means, you will invest in the market during high levels as well as lower levels, and therefore, you will earn a weighted average return over the period. Hassle-Free: It is easy to set-up and monitor SIP investments. Not apt for people with irregular income: This method is not meant for people who have an unstable or irregular flow of income. Need always to have sufficient fund in a bank account: If an investor fails to maintain sufficient amount in the bank on the day of SIP, the instalment will be dishonoured. It means, no investment will happen on that day. A lump sum investment means the entire amountis invested in a mutual fund at one go. Usually, lumpsum investment is made by educated investors who have a good understanding of the market. Many investors also take the help of financial advisors who are expert in this field. Investment of big amount: It is a good option for investing extra cash instead of keeping it idle. Convenient: When you opt for lumpsum investment, there is no obligation of future payment. It means you don’t need to worry about the future payments. Doesn’t encourage saving habit: As the entire payment is made in one go, it doesn’t instil financial discipline in an investor. Not apt for short-duration: If the money is required in a short-term, a lumpsum investment may not be a good option. To achieve high returns, it is essential to stay invested in the market for the long run. High risk: As the entire amount is invested in one go, the chances are high that an investor may end up buying less number of units if the market is high. There is no option of benefitting from the market volatility in between. The only option is to purchase new fund for which an investor might not have enough cash after making the lumpsum investment. Timing the market becomes essential while making the lumpsum investment. Investments are always made to generate wealth. SIPs are the good option to inculcate the habit of saving. Moreover, it also encourages the habit of disciplined investment. However, if your income is uncertain and you want to invest in mutual funds for tax savings, you can go for lump-sum investment. Further ELSS investments have a lock-in period of 3 years. It means, if you are investing in ELSS mutual funds through SIP, you should note that each SIP instalment will be locked for three years. Make sure to factor this point while doing financial planning. st through lumpsum or SIPdiffers from one individual to another. It may also depend on the cash flow, holding period of investment, risk appetite along with any other needs. Therefore, before you take a step, it is useful to take the help of a financial advisor who can help you in making best investment and choosing right mode.